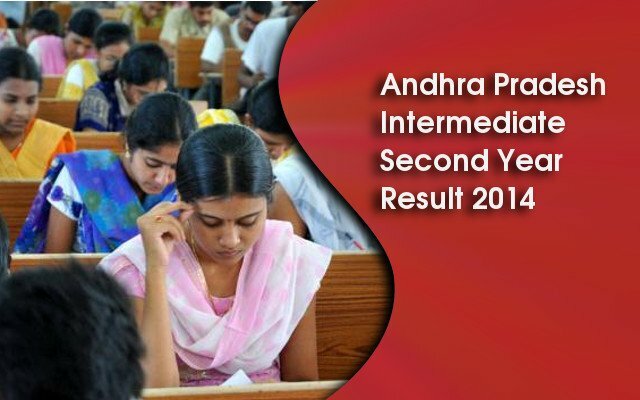 Andhra Pradesh Intermediate Second Year Results 2014 (AP Inter 2nd Year Results 2014) are announced by the AP Board of Intermediate Education on 3rd May 2014. Candidates can check their results on the official website bieap.gov.in. Candidates can check their AP Inter Second Year Results on http://results.cgg.gov.in. Type APSI space HTNO send SMS to 56767999. In the place of HTNO type your AP Intermediate Hall Ticket number. The AP Intermediate First Year Resutls 2014 are announced on 28th April 2014. There is a total of 19.78 lakh students registered for the 1st year and 2nd AP Intermediate Intermediate exams in 2014. The Practical examinations started from February 2, 2014 and ended on March 4, 2014. The examination timings for both first year AP Intermedidate Exam 2014 and 2nd year 2014 were from 9:00 AM to 12:00 noon. Around 2,661 examination centres were prepared within Andhra Pradesh state, out of which 975 were government, 187 government-aided and 1,499 unaided. In 2013 there are 8,91,337 candidates were appeared in First Year AP Intermediate Exam and 4,86,658 Candidates are passed the exam whereas in Second Year Andhra Pradesh Intermediate Exam 7,71,587 Candidates appeared and 5,04,300 candidates passed. Andhra Pradesh Board of Intermediate Education regulates & supervises the formation of Intermediate education in Andhra Pradesh. The 1st year AP Intermediate Exam and 2nd year AP Intermediate exams are conducted by the Board every year. The BIEAP regulates and supervises the system of Intermediate education in Andhra Pradesh State. It executes and governs various activities that include devising of courses of study, prescribing syllabus, conducting examinations, granting affiliations to colleges and, providing direction, support and leadership for all educational institutions under its jurisdiction.